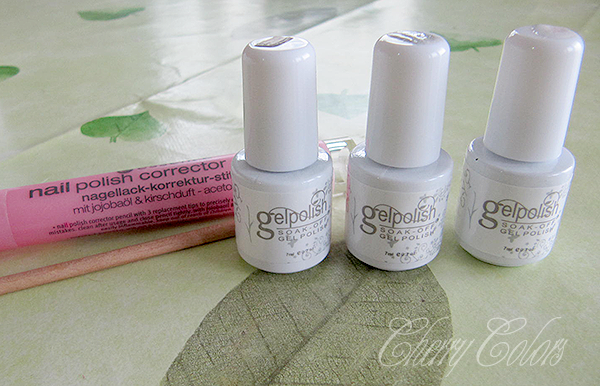 How to: Gel(ish) nails at home - Cherry Colors - Cosmetics Heaven! 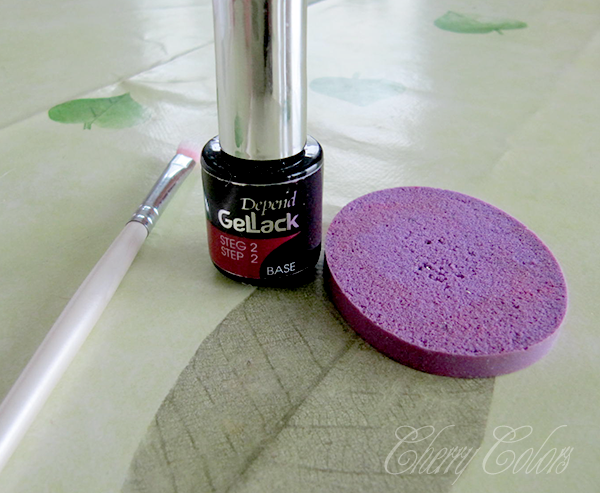 Since it's been more than a year that I do my own gelish nails (and have learned some tips n'tricks in the meantime) I wanted to share with you all, how do I do it (at home). The process is simple, but it takes somewhere between 1 - 1:30h (it depends on what I do, but when I started I needed a longer time to do them). Keep in mind this when you do your nails. First, wash your hands and make sure you won't be disturbed for an hour to an hour and a half. No distractions and no touching of anything during this time! Push your cuticles up (dry method, no oils/creams/etc or the gel will lift), file your nails.. do what you need to do to get to your desired shape. 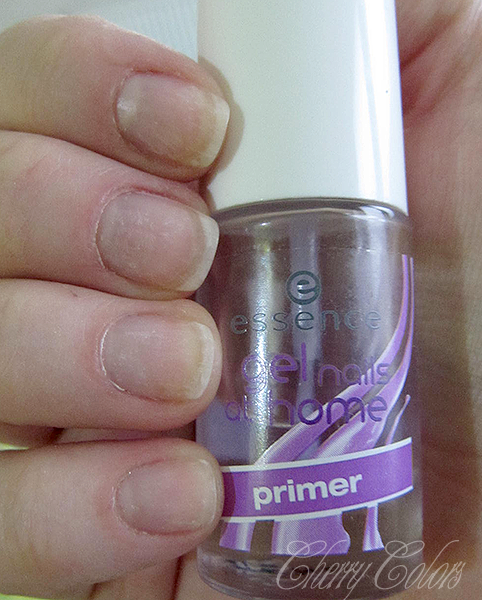 Use a gel primer (or some rubbing alcohol) to dry your nails out and wait 1 minute for it to be completely dry before you continue. 1. 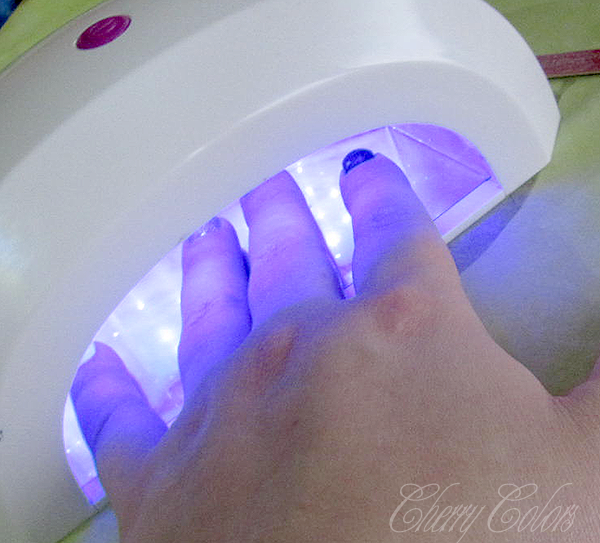 Apply the gel base and cure it under the LED light (mine should be cured for 30 sec). You can dab a bit of base on your nail and then use your brush to spread it (regular brush) or you can do it with your polish brush and then do the next step. Don't forget to apply some gel polish on the free edge of the nail - this makes the manicure last a whole lot longer! Cap it! 2. Once it's cured, take your brush and wipe off the base (the sticky film). 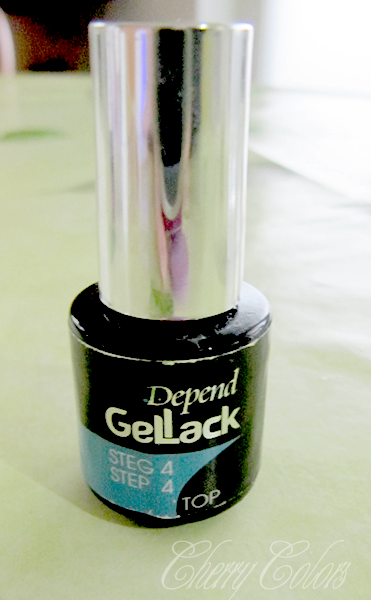 This is so the gel polish won't run and your gel will apply more evenly. There's nothing worse than gelish in cuticles. Your gel will still be shiny, don't worry. But whatever you do, DO NOT REMOVE THE STICKY FILM WITH A CLEANSER! Brush yes, cleanser no. Seriously. Don't even touch it. At all. No bueno. Black, Silver (glitter) and white, I choose you! Okay, listen well. 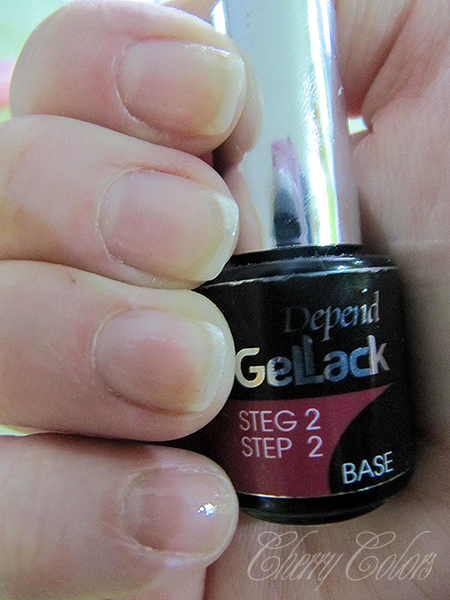 Now you take your gel of choice and start painting your nails like you'd normal do + you need to polish the free edge. Easy peasy, right? YES, except if you f*ck up, you can use the nail polish corrector on your skin and the orange stick on the gel polish. Don't mix those two up, because practically anything in the process (that goes wrong) can make your gel polish last less. 4. Repeat once more, or twice more for some colors (I am looking at you white!). You're good! You came to the end. Let's hope with little bumping to desk or touching of the sticky film (ahem, did those things way too many times!). Now that you've come this far.. this is the quick part. 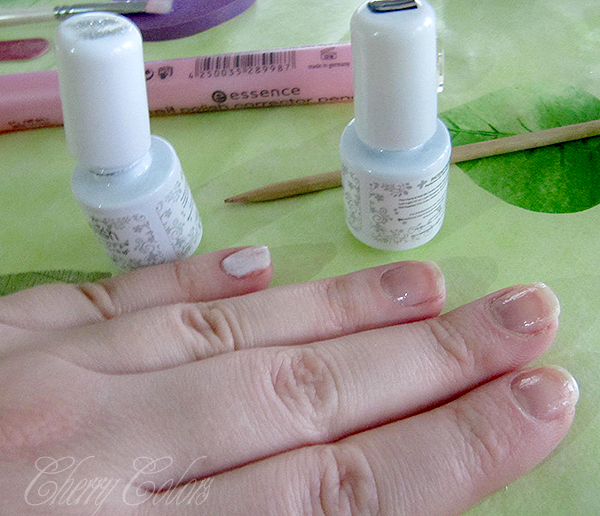 Apply the top coat on the nails and the free edge and CURE it. 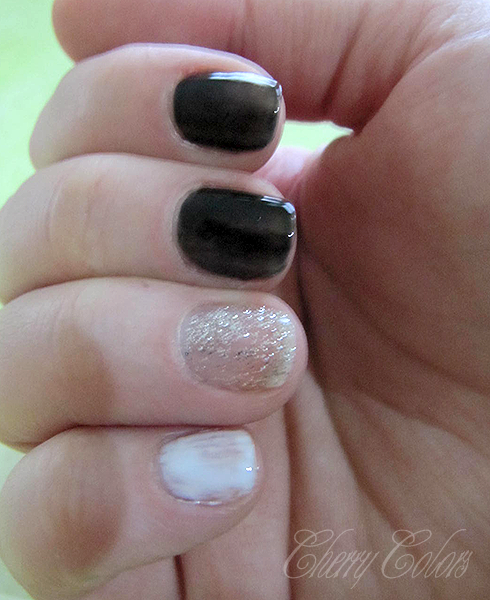 I prefer to apply two layers of gel top coat, just because, but you can totally go with just one. 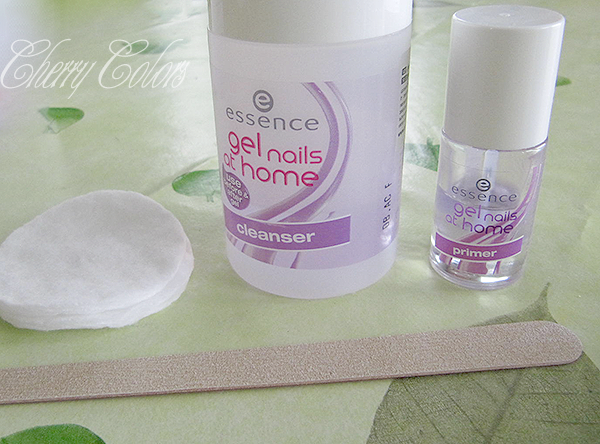 Don't forget to polish the free edge, so water won't get under your gel polish. That would be terrible (your gel polish would lift). When your nails are cured, take a cotton pad and some cleanser (or rubbing alcohol if you have none) and wipe your nails. That's practically it! This is the time when you use all your lovely products like oils, masks, creams. Because now nothing will destroy your gel manicure (except time, right? :P). A gel manicure will usually last on my nails somewhere between 3-4 weeks, but that's because my nails are pretty thin. A lot of things comes to factor when it comes to how long lasting the gel manicure will be. 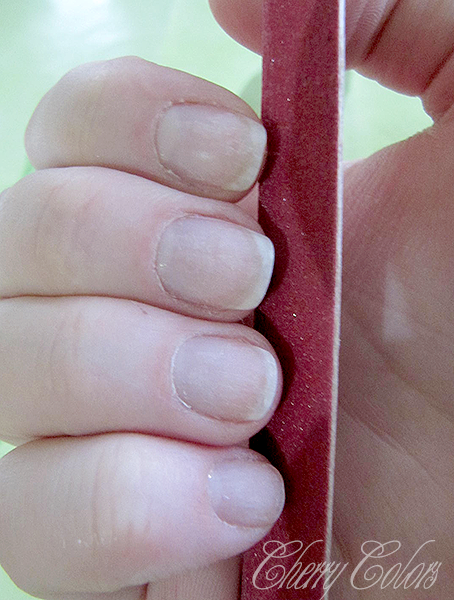 If your nails are thin.. well it will last less than the 4-5 weeks. Thicker nails (as we age our nails grow thicker) = long lasting, yeah! After 2 weeks I fill my "roots", because I think it doesn't look all that pretty with a big gap between my polish and my cuticle.. But okay, this is it. I feel like I should've gone a bit more in depth with this How to, but don't know really on which parts. So, if you have any more questions - please ASK!